Getting into a car and going somewhere is a given for most people. They don’t even have to think about it. But for a certain percentage of the population, the mere thought of driving creates feelings of fear and anxiety. According to a UK survey, it is one of the ten most common phobias. A fear of driving can be very hard to live with, especially in America, where driving is a cultural rite of passage and sprawling suburbs make something as basic as getting groceries impossible without a vehicle. It also affects your self-esteem. “The result has been a bizarrely humiliating existence, where I end up as a perpetual passenger,” explains writer and vehophobic, Glenda Cooper. So how do you get past your fear of driving when previous attempts have been met with failure and further anxiety and depression? Hypnosis is an amazing therapeutic technique that can make strides where others have failed. At Advanced Care Hypnosis, Daniel Rose and his knowledgeable staff have experience dealing with this type of anxiety. They will work with you and help you overcome this debilitating condition. You can even see results in as little as one session! 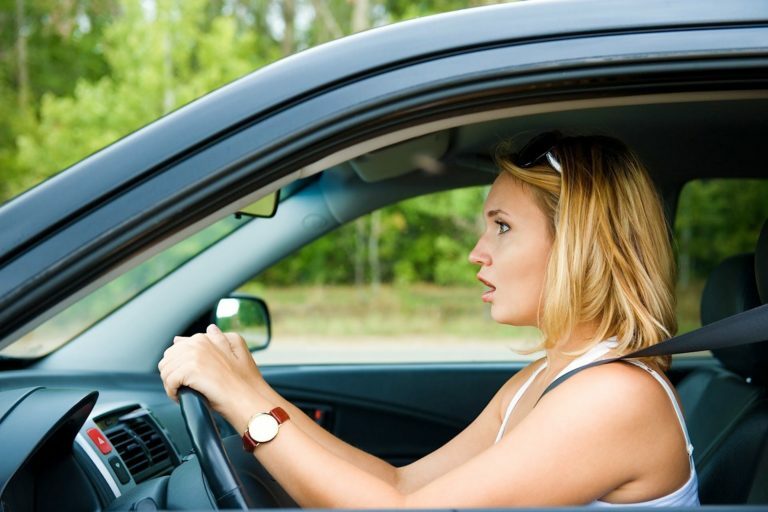 The fear of driving can have many different roots that are holding you back from doing this very basic thing. There may have been a past accident that fills you with fear each time you get behind the wheel. Or, perhaps, you fear being trapped in your car when you get stuck in traffic. Or maybe you fear getting lost or losing control. All of these fears come back to the way the mind deals with driving. Hypnosis can help. When you are under hypnosis, with the help of a trained hypnotherapist, you are in a very relaxed and focused state. You are not in a trance so much as feeling open and ready to accept suggestions and influence when your subconscious is so often closed off. At this point, you can begin finding the cause of your fear and dealing with it. Negative experiences and thoughts can be replaced with positive affirmations and calming words that will help you change the way that you think about driving on a basic and instinctive level. Wouldn’t it be great if you could drive? Think about all of the commercials that you see of the open road and the fun people are having as they road trip through back roads, the wind whipping through their hair. That could be you. If you conquer your anxiety about driving, you could take a trip, go out for groceries, or visit a friend — all with the ease and enjoyment of so many others. Imagine how much more convenient and relaxed your life would be without your anxiety holding you back. Your hypnotherapist will help you with the technique of self-hypnosis. These calming affirmations will be useful when you are in a situation that makes you uncomfortable, such as having to drive to a new place through traffic. But with the help of hypnosis, you will be able to do it. Overcoming your fear of driving will not be an easy thing, but it is possible. And you’ll be so glad that you did it. Are you ready to stop being afraid of driving and start living a more fulfilling life? Think of the convenience of driving to work or the fun of exploring the city that you live in beyond your own neighborhood. You can carpool with friends and take your family places without fuss. Advanced Care Hypnosis is here to help you. Daniel Rose has over 30 years of experience as a hypnotherapist, and his compassionate and caring nature will help you relax and achieve the best results possible. Let him help you overcome your fear of driving and live the life that you have always wanted.